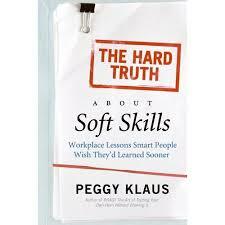 The Hard Truth About Soft Skills: Workplace Lessons Smart People Wish They’d Learned Sooner by Peggy Klaus, 2008. This is a very useful book to understand how important and necessary soft skills are in the workplace. It also encapsulates much of the work I do with clients in order to help them build their emotional intelligence and navigate their career. 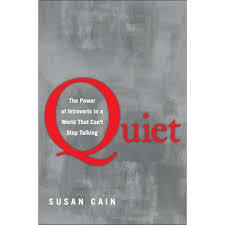 Quiet: The Power of Introverts in a World That Can’t Stop Talking by Susan Cain, 2013. At least one-third of the population is introverted, and they are undervalued in the workplace today. Wharton management professor Adam Grant found in his research that extroverted leaders enhance group performance when employees are passive, but introverted leaders are more effective with proactive employees. Read this book and you’ll better understand your boss, coworkers, direct reports and/or yourself. Brag! 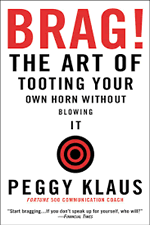 : The Art of Tooting Your Horn Without Blowing it by Peggy Klaus, 2004. In this book, you learn to create a “bragalogue”(or short, enthusiastic, continually updated story showcasing strengths and accomplishments) you can deliver comfortably and sincerely. This is a key to “planting seeds for the future” or standing out in interviews, performance reviews or networking situations. Difficult Conversations: How to Discuss What Matters Most by Douglas Stone, Bruce Patton, & Sheila Heen, 2000. Here are strategies for disarming the impulse to lay blame and for exploring one’s own contribution to a tense situation. There are specific recommendations for bringing emotions directly into a difficult discussion by talking about them and paying attention to the way they can subtly inform judgments and accusations. Understanding what is happening beneath the conversation enables an opportunity for learning. Real Influence: Persuade Without Pushing and Gain Without Giving In by Mark Goulston and John Ullmen, 2013. In this post-pushing and post-selling world, influence should no longer be seen as something you do to someone else to get what you want. Real influence isn’t even about what you want. Instead it’s about forging strong connections by focusing on other people’s viewpoints and giving something away before asking for anything in return. Connective listening is listening from their there instead of your here. Read more. 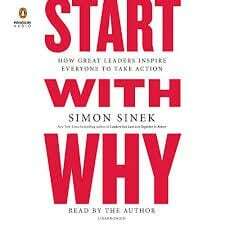 Start with Why: How Great Leaders Inspire Everyone to Take Action by Simon Sinek, 2011. People don’t buy what you do, they buy why you do it. And people follow others for the same reason. Using Apple, Southwest Airlines and Martin Luther King, Jr. as examples, Sinek explains why some people and organizations are more innovative, more profitable, and command greater loyalties from customers and employees. A compelling why will always outpace any compelling how. 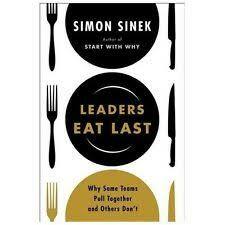 Leaders Eat Last: Why Some Teams Pull Together and Others Don’t by Simon Sinek, 2014. Workplaces today are full of cynicism, paranoia and self-interest. The best organizations foster trust and cooperation because their leaders build what Sinek calls a “Circle of Safety,” which separates the security inside the team from the challenges outside. This Circle of Safety, according to Sinek, enables teams to be stable, adaptive and confident where every member feels that they belong and are focused on the right things. 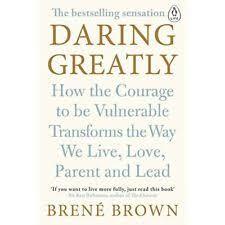 Daring Greatly: How the Courage to be Vulnerable Transform the way we Live, Love, Parent and Lead by Brene Brown, 2012. 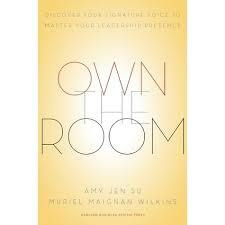 Own the Room: Discover Your Signature Voice to Master Your Leadership Presence by Amy Jen Su and Muriel Maignan Wilkins, 2013. In order to own the room you must do two things really well: 1) demonstrate your authentic value and distinction, and 2) connect to others in a positive way. The leaders who are able to be authentic while also connecting with and impacting others have a signature voice — a means of self-expression that is uniquely and distinctly their own. It takes a combination of what the authors call the driving voice and supportive voice in order to perfect your signature voice. How Women Rise: Break the 12 Habits Holding You Back from Your Next Raise, Promotion or Job by Sally Helgesen and Marshall Goldsmith, 2018.
homework and know the parameters of your job. This reluctance to call on others may, however, keep you from behaving in a way that is beneficial to the organization as well as advancing your career. 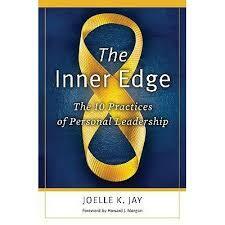 The Inner Edge: The 10 Practices of Personal Leadership by Joelle Jay, 2009.
how to make progress with each of the 10 practices. 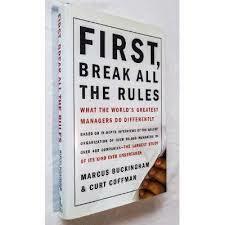 First, Break all the Rules: What the World’s Greatest Managers do Differently by Marcus Buckingham and Curt Coffman, 1999.
routine, and learning how to get the best performance from talented employees. 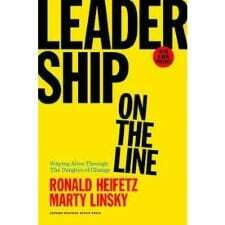 Leadership on the Line by Ronald A. Heifetz and Martin Linsky, 2002.
and observe yourself in action? Do you know when and how to turn up the heat or turn down the heat to get the work done. Can you give the work back in the face of resistance? 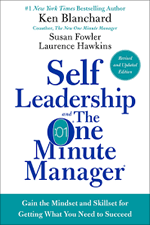 This is a great book for gaining perspective and putting it into action in your workplace. Emotional Intelligence: Why it Can Matter More Than IQ by Daniel Goleman, 1995.
motivation, empathy, and the ability to love and be loved by friends, partners, and family members. People who possess high emotional intelligence are the people who truly succeed in work as well as play, building flourishing careers and lasting, meaningful relationships. 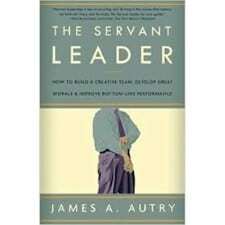 The Servant Leader: How to Build a Creative Team, Develop Great Morale, and Improve Bottom Line Performance by J. Autry, 2001. Servant leadership will produce fulfilling emotional, psychological, and spiritual rewards for everyone involved. The author shows you how to remain true to the servant leadership model when handling day-to-day and long-term management situations. You’ll learn how to manage with respect and honesty and how to empower employees to achieve new levels of satisfaction. The Speed of Trust: The One Thing That Changes Everything by Stephen M. R. Covey, 2006.
practicing accountability in order to help you move your organization along more quickly. Good to Great: Why Some Companies Make the Leap . . . And Others Don’t by Jim Collins, 2001. What separates successful companies for those that are exceptional? At the heart of those rare and truly great companies was a corporate culture that rigorously found and promoted disciplined people to think and act in a disciplined manner. Dare to Lead: by Brene Brown, 2018. When we dare to lead, we don’t pretend to have the right answers; we stay curious and ask the right questions. ….. Daring leadership in a culture defined by scarcity, fear, and uncertainty requires skill-building around traits that are deeply and uniquely human. 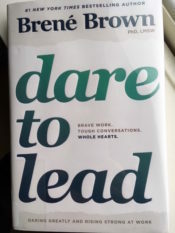 Another excellent book by Brown, who provides a compelling argument and roadmap for leaning into the challenge of leadership with vulnerability and courage. Managers, Can You Hear Me Now? by Denny Strigl, Frank Swiatek, 2011. Behavior matters! This book has great advice on how to hold yourself and others accountable for getting results. In my experience, accountability is perhaps the most vital behavior and appears to be in short supply in the workplace today. Strigl & Swiatek provide valuable examples of what works and doesn’t work in order to achieve results. Five Dysfunctions of a Team by Patrick Lencioni, 2002. The first part colorfully illustrates the ways teamwork can elude even the most dedicated individuals–and be restored by an insightful leader. A second offers details on Lencioni’s “five dysfunctions” (absence of trust, fear of conflict, lack of commitment, avoidance of accountability, and inattention to results), along with a questionnaire for readers to use in evaluating their own teams and specifics to help them understand and overcome these common shortcomings. Death by Meeting by Patrick Lencioni, 2004. 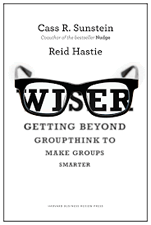 Wiser: Getting Beyond Groupthink to Make Groups Smarter by Cass R. Sunstein and Reid Hastie, 2015.
better understand the nature of how to help your team and organization make better decisions. You can read a great deal more about it in my blog post here. 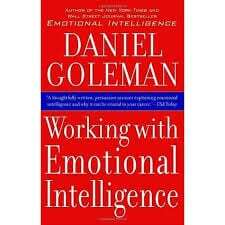 Working with Emotional Intelligence by Daniel Goleman, 1998. Excellent view of “The hard case for the soft skills.” The book details 12 personal competencies based on self-mastery (such as accurate self-assessment, self-control, initiative and optimism) and 13 key relationship skills (such as service orientation, developing others, conflict management and building bonds). 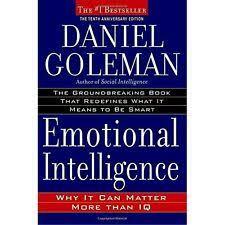 Goleman includes many examples and anecdotes that show how these competencies lead to or thwart success. 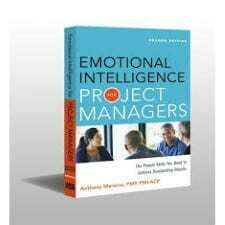 This is an excellent primer on emotional intelligence and the importance of it with regard to project management professionals. Since research has shown that up to 80 percent of management success can be directly related to emotional intelligence, project managers need build solid interpersonal skills and their ability to recognize emotional cues in order to successfully lead project teams. knowledge isn’t enough to motivate change. It also requires confidence, and when the change is big, you need to either shrink the change or grow your people (preferably both). Great examples on how to bring about change. 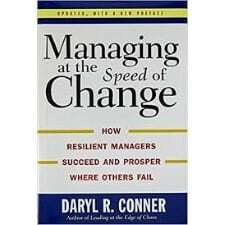 Managing at the Speed of Change by Daryl Conner, 1992. Leaders must raise their awareness of the Nature of change, the Process of change, and the Resistance of change. Do not only apply these concepts to your organization but apply them to yourself in order to understand how change affects you. You cannot escape the forces of change. Are the challenges you face technical or adaptive? Do you know the difference? Can you get to the balcony and observe yourself in action? Do you know when and how to turn up the heat or turn down the heat to get the work done. Can you give the work back in the face of resistance? 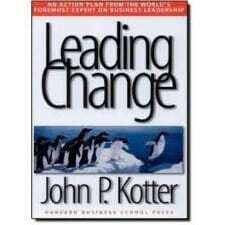 Leading Change by John P. Kotter, 1996. “Because management deals mostly with the status quo and leadership deals mostly with change, in the next century we are going to have to try to become much more skilled at creating leaders.” The author identifies pitfalls to be avoided that can undermine a successful change effort. He onvincingly argues for the promotion and recognition of teams rather than individuals. He aptly concludes with an emphasis on lifelong learning. The Heart of Change by John P. Kotter and Dan S. Cohen, 2002. The book uses the same 8-steps outlined in the book Leading Change, but provides practical examples to demonstrate the “see-feel-change” in action. This is a story-driven book that explains how the best change leaders motivate people to overcome even daunting obstacles to change and produce breathtaking results. 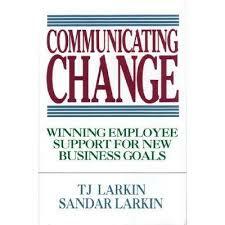 Communicating Change: Winning Employee Support for New Business Goals by TJ Larkin and Sandar Larkin, 1994. How and when you communicate can make or break your change initiatives. The authors provide practical advice from actual examples of successful and failed communications at multinational corporations including General Motors, Polaroid, Xerox, Hewlett-Packard, GE and IBM. Originals: How Non-Conformists Move the World by Adam Grant, 2016. Grant presents a compelling case through studies and research debunking the common belief that successful non-conformists are born leaders who embrace risk. He demonstrates how originality can be launched, unleashed and sustained as well as how leaders can fight groupthink. Originals provides you with the knowledge and courage to advance your own ideas. 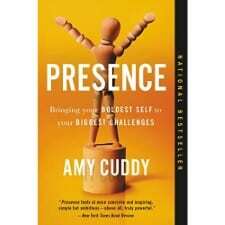 Presence: Bringing Your Boldest Self to Your Biggest Challenges by Amy Cuddy, 2015. 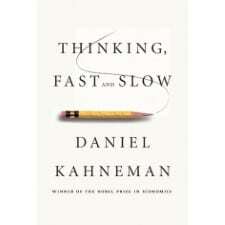 Thinking, Fast and Slow by Daniel Kahneman, 2011. After decades of research in psychology, Daniel Kahneman takes readers on an exploration of what influences our thought processes. System 1 and System 2, the fast and slow types of thinking, become characters that illustrate the psychology behind things we think we understand but really don’t, such as intuition. Kahneman’s transparent and careful treatment of his subject has the potential to change how we think, not just about thinking, but about how we live our lives. 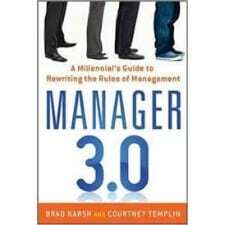 Manager 3.0: A Millennial’s Guide to Rewriting the Rules of Management by Brad Karsh and Courtney Templin, 2013.
management style of these Millennial managers are: collaborative, flexible, transparent, casual and balanced. The better prepared you are to communicate with Millennial managers, the better you’ll succeed in managing, working along side or being managed by them. 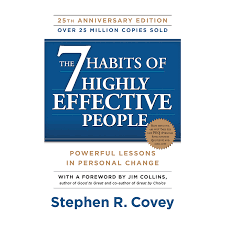 The 7 Habits of Highly Effective People by Stephen R. Covey, 1990. A classic worth rereading from time to time in order to ensure you are practicing the great advice found here. 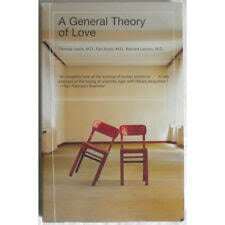 A General Theory of Love by Thomas Lewis, Fari Amini, Richard Lannon, 2001. 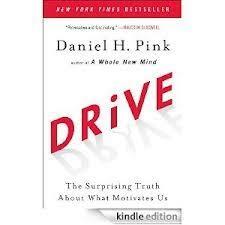 Drive: The Surprising Truth about What Motivates Us by Daniel Pink, 2011. Pink discusses the fact that carrot and stick methods for engaging workers has been scientifically proven not to work, yet they are still used by most organizations as a way to motivate employees. Intrinsic motivation including the elements of autonomy, mastery and purpose are what Pink says is necessary to raise engagement and productivity in today’s workplace. 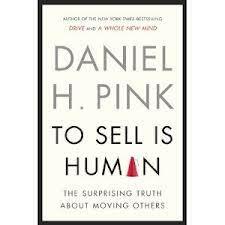 To Sell is Human: The Surprising Truth About Moving Others by Daniel Pink, 2013. Pink’s latest book convincingly informs us that “selling” is now a requirement for all of us no matter what our job title may be. He describes the art and science behind selling and includes six successors to the elevator pitch, three rules for understanding another’s perspective, five frames that can make your message clearer and more persuasive. Pink weaves compelling stories along with social science and research to create a paradigm shift for how we should think of selling today. 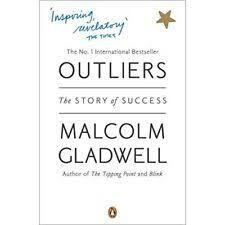 Outliers: The Story of Success by Malcolm Gladwell, 2011.